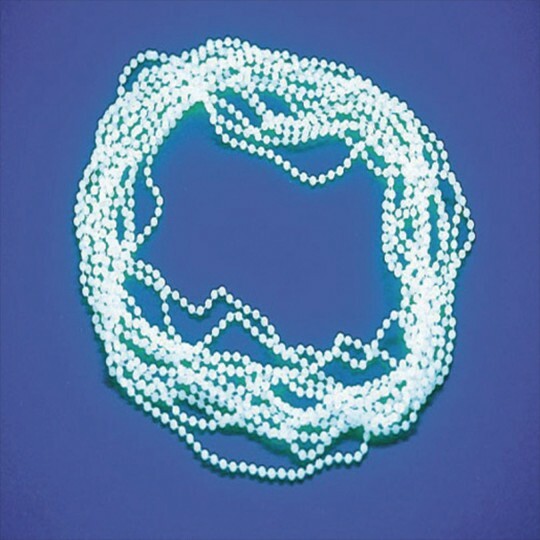 Get the party started with glow-in-the-dark beads. Perfect for any night-time event. Expose to light in order to activate. Get the party started with glow-in-the-dark beads! Perfect for any night-time event. Just expose to light in order to activate. Plastic. 22" long. 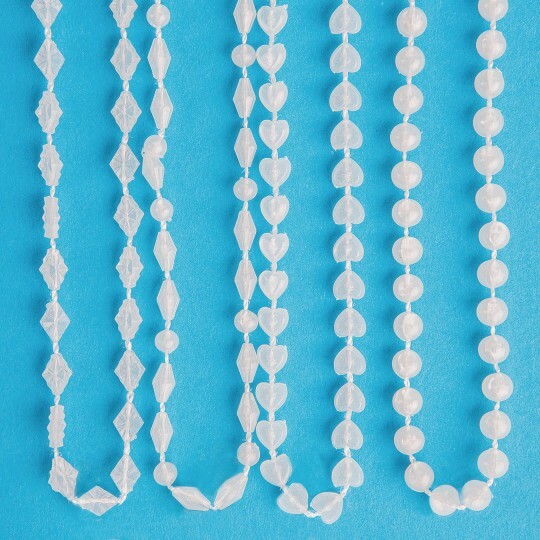 24 necklaces per pack. 6 each of 4 assorted styles (round beads, heart beads, crystal and round beads and diamond beads).